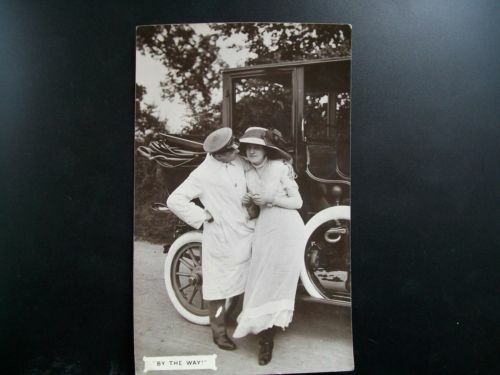 I like the car, I like the girl, but the white duster is just too cool. Does anyone know a source of white dusters at a good price ? Gentleman's Emporium has linen dusters for 75 bucks. I like on their measurement chart: "If your belly measures larger than your chest, use the larger measurement." I think they have seen some of us in person. "If your belly measures larger than your chest, use the larger measurement." LOL. Several of us resemble that remark. I was thinking of you and Unca Mike when I posted that but was too much of a gentleman to post it. You might not send my box of chocolate bourbon balls if I make you mad. Unca Mike might not fix any more ribs for me!! That would be even worse. Thanks for the suggestions on the duster. Does anyone else wear them while riding in their T or am I the only nerd in the group ?? The only reason that my wife really likes the '10 touring, is that she loves to dress up in period fashion, so I've been known to wear my Linen Duster.